This entry was posted in Monty Python and tagged Dead Parrot, Monty Python, Monty Python Live on August 27, 2014 by howardjohnson1985. Dave Pasquesi and I have been friends since the first night he walked into one of Del Close’s improv classes at Crosscurrents in Chicago, and I (filling in for the absent Charna Halpern) shook him down for payment for his first series of classes. I can (and probably will) write several lengthy blogs involving David and I, but the most pertinent information is this: Dave is still improvising, and, unlike so many others, has never really stopped improvising after all these years. A few years back, he started working with TJ Jagodowski at the iO Chicago, and in the subsequent years, TJ and Dave have become improvisation icons. But that wasn’t enough for them. When Charna announced that she would be opening a brand new theatre building, with four theatres and a numerous classrooms, Dave and TJ told her “Excuse us, but we’d like one of those.” And that’s how the Mission Theatre came to be. 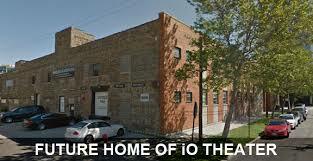 It’s part of the new iO Chicago at 1501 N. Kingsbury in Chicago, but it’s separate, because it belongs to Dave and TJ. They will continue their TJ and Dave shows there most Wednesday nights, but will use the other time slots for a new sketch comedy show with a talented bunch of actors. Saturday night was the opening night for the Trap (which is what it’s called, for reasons that will be revealed when you see the show). It is very funny. I sat with my old friend Leo Benvenutti, and after the first few sketches, I noted “They’re not really going very dark, are they?” I needn’t have worried. There is plenty of darkness, enough to please Del himself, along with some terrific acting and directing, and the audience loved it as much as I did. Afterward, I had the chance to catch up for the first time in a long while with my old pals Frances and John Judd, Meg and Pete Burns, Jeff Michaelski, Diane Alexander, and many others, including, of course, Michael McCarthy, Charna Halpern, and Noah Gregoropolis. The Trap is just the first show to officially open at the new iO (forget the label on the photo–the future is here! ), and they have set the bar high; if the others come anywhere close, it’s going to be a spectacular success. See you there. This entry was posted in Uncategorized and tagged Dave and TJ, Del Close, iO, iO Chicago on August 24, 2014 by howardjohnson1985. And yes, I know I haven’t finished my own story about the Last Night of Python. Soon. Very soon. 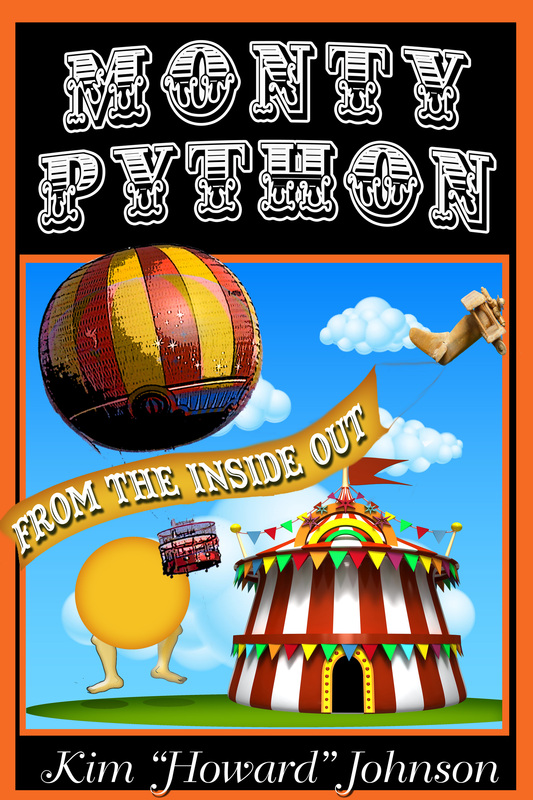 This entry was posted in Monty Python, Uncategorized and tagged Last Night of Python, Monty Python, Monty Python Live on August 20, 2014 by howardjohnson1985. I did a radio show with my dear pal Michael McCarthy Tuesday, for Justin Kaufman on WBEZ-FM in Chicago. We were discussing why many folks with mental illness seem to be drawn to comedy, or why comedy seems to draw many people suffering from mental illness. Not everyone suffering from mental illness is in comedy, and not everyone in comedy is mentally ill, despite how it may seem at times. It was, of course, a way to help process what seems to be so difficult for many of us to process: why someone as successful and famous and wealthy as Robin Williams couldn’t bear to go on living. I’ve always said that suicide is a permanent solution to a temporary problem. And I think that’s true in most cases, but to someone suffering from major clinical depression–well, I’m not so sure they can see it as a temporary problem. The question seems to be how we each process it all. 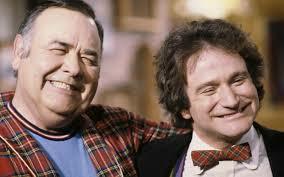 I can’t help thinking of Jonathan Winters, whom I’ve written about in the past, and who was idolized by Robin Williams. I can’t imagine how Mr. Winters was able to make it through life without performing–whether it was on national television, or for someone who approached him on the street. (And I’ve seen both, and I’m not so sure he wasn’t at his funniest when he was talking to a waiter or a group of tourists.) Because when he wasn’t performing, he got into a dark place very quickly, and it was very difficult to get him out of it. 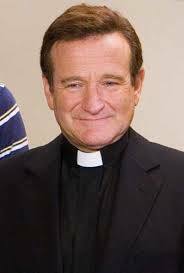 He always blamed his father and his upbringing, but there was little doubt, to me, that the demons seemed to come from the same place as those that plagued Robin Williams. Both men seemed to try to exorcise their demons through comedy, and both seemed to be successful for a while. But Mr. Winters was able to stave them off, Robin wasn’t. Why, we’ll never know. All we can do now is hope we can find a way to help the next generation of Robin Williamses from succumbing to the darkness. This entry was posted in Uncategorized and tagged Jonathan Winters, Justin Kaufman, Robin Williams., WBEZ on August 13, 2014 by howardjohnson1985. …I don’t have much to say except that it’s a great loss, and very sad. I had a few encounters with Robin Williams, the first of which was at a party at Harry Nilsson’s house after the final night of Monty Python Live at the Hollywood Bowl. At that time, Mork and Mindy was one of the biggest shows on television. I noticed him walking around the back yard in the near-dark, alone, and decided to approach him, as we had a mutual friend who worked on that show. It quickly became apparent that he was in a much darker place than that back yard, and I quickly excused myself. When his substance abuse problems first became public, I was not surprised. I had a much happier memory of Robin several years later–oddly, it was when Del Close was dying. I know that Robin and Del knew each other by way of The Committee in San Francisco, of which Robin was a huge admirer (Del never actually taught him, but always called him his “grand-student”). I thought Robin should know that Del didn’t have much time left and might appreciate a call, so I asked Eric Idle to pass on the news. To my surprise, I got a phone call shortly afterward, and we chatted for a while; I filled him in on Del and he was effusive in his praise of Del. He apparently had trouble connecting with Del at the hospital–I’m still unclear whether they were ultimately successful, but if not, it was not for lack of trying. He called me several more times that week and I gave him regular updates. 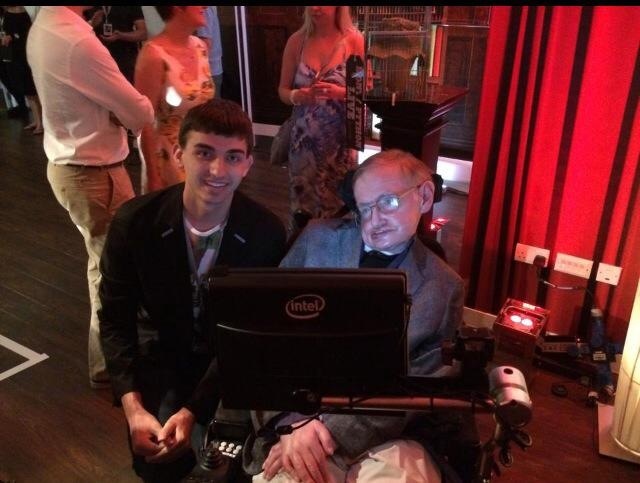 I remember him asking me about a couple of science fiction stories that he was considering doing as films; at first it seemed a little odd that he would ask me, a near-stranger, but then I realized that he knew that I was friends with Del, so I would almost certainly have to be SF savvy!). We had some nice chats in which he felt no pressure to perform or entertain for me over the phone, and I felt like I was talking to the real person. I liked him enormously. There were other encounters. I can recall an elevator ride late one night at Rockefeller Plaza, after a Saturday Night Live broadcast. I found myself riding down with Robin Williams and Tom Petty, the former as animated as one might expect, apparently in an effort to entertain the latter. It’s all very sad, sad for his family, his friends, and for comedy lovers. I’m particularly saddened for Eric Idle at the loss of his close friend. 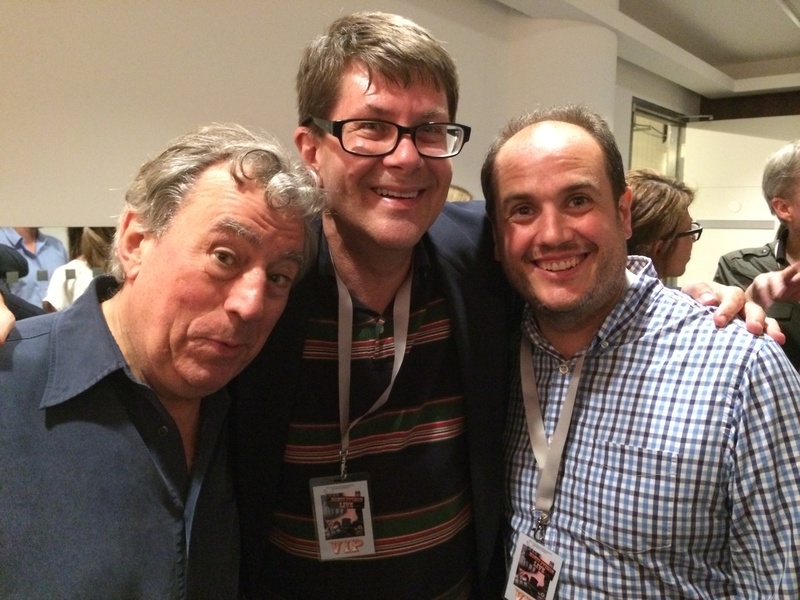 And Robin had just finished a film for Terry Jones, Absolutely Anything, in which he recorded the voice of the dog; Terry recently told me how much fun he’d had in the studio with him, and the many versions of the character he delivered. Now it’s going to be a much more poignant experience. This entry was posted in Monty Python, Uncategorized and tagged Absolutely Anything, Del Close, Eric Idle, Harry Nilsson, Monty Python, Robin Williams., Saturday Night Live, Terry Jones, The Committee, Tom Petty on August 11, 2014 by howardjohnson1985.